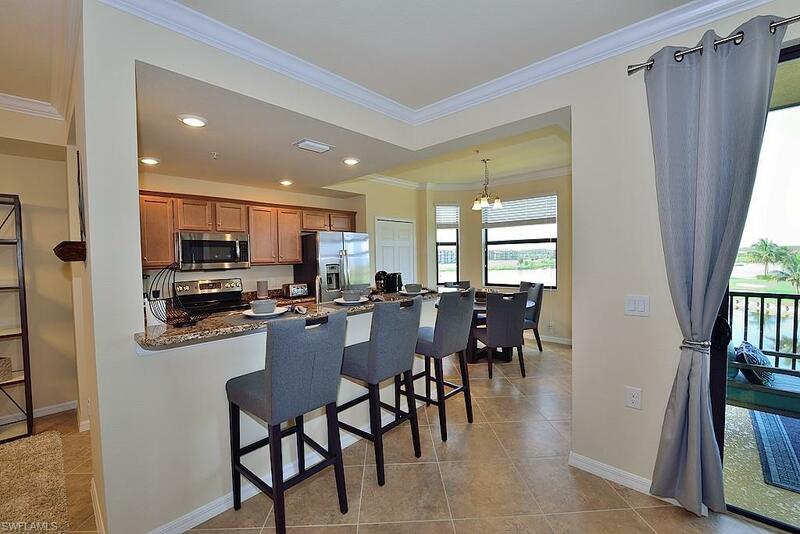 2 bedroom, 2 bathroom, 3rd floor Condo with a view of the LAKE, GOLF-COURSE & TENNIS COURTS. Inside boasts stainless steel appliances, granite counter tops, crown molding, blinds, fans, lighting and beautiful NEW furniture! Surrounded by beautiful landscape and preserve! Enjoy the resort style pool! 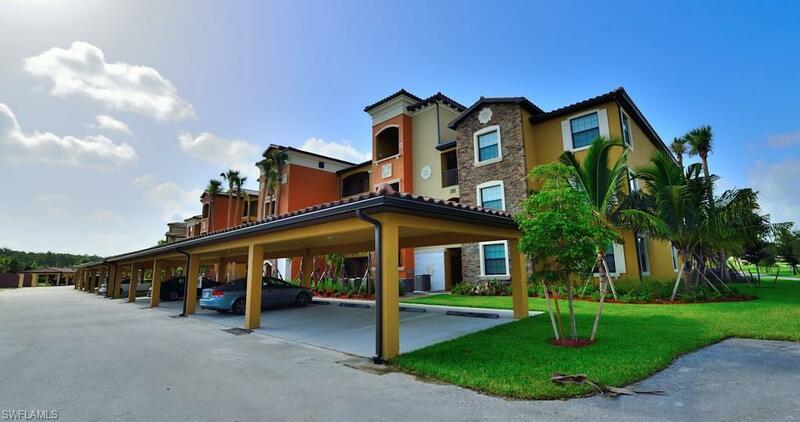 Take peaceful walks or bike through the natural Florida setting. Enjoy a cold beverage at the Cabana Grill or if you're looking for fine dining, enjoy stunning views from the NEW state of the art clubhouse. 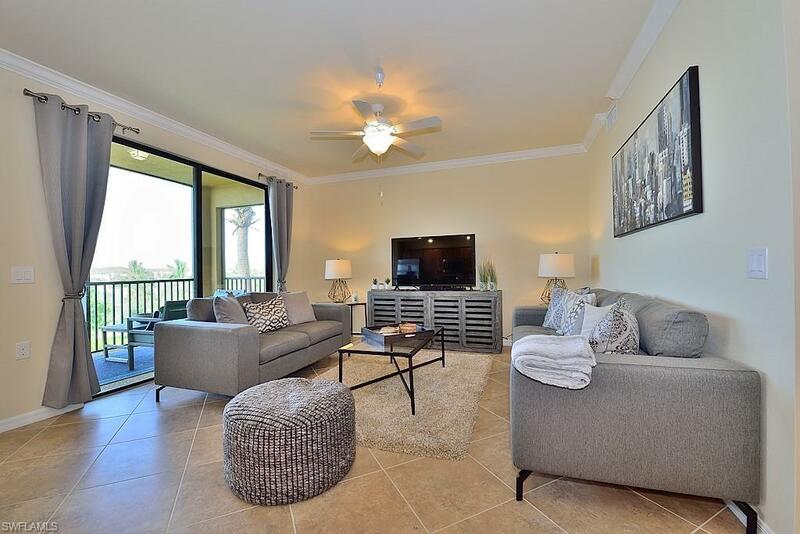 Bonita National's Resort Lifestyle includes a nail salon, spa, waterfalls, lap lanes, fitness center, aerobics classes, and an active social calendar with card games, Mahjong, Book Club and many more! The Tennis Center offers eight Har-Tru surface courts with pro shop. The Bonita National Golf course was designed by Gordon G. Lewis! The course boasts an amazing aqua driving range and pro shop. A short drive will take you to pristine sandy beaches, exclusive shopping and dining. 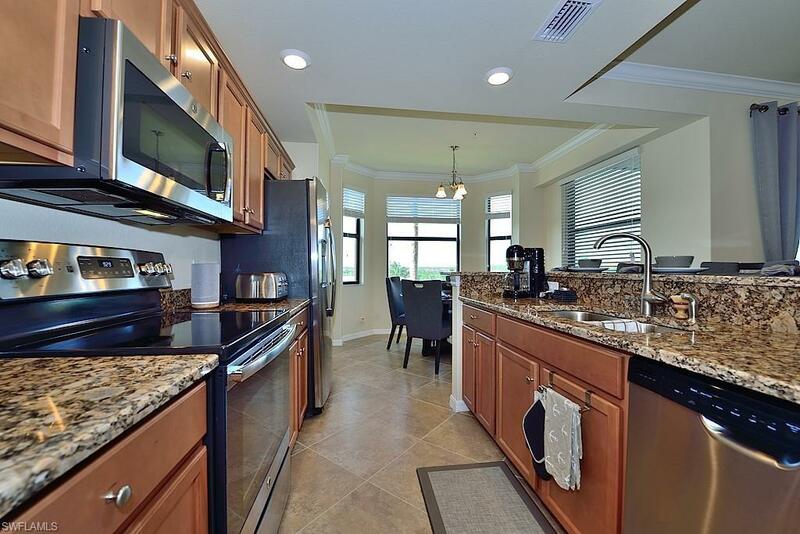 This condo comes fully turnkey-furnished and is perfect for your FL Vacation! Book today!